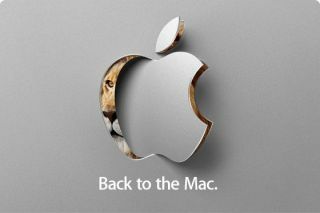 Apple to merge iOS and Mac OS in 2012? Some analysts are suggesting that Apple will fully merge Mac OS and its mobile operating system iOS at some point in 2012. A note to Apple investors from analyst Peter Misek suggests that Apple might use the A6 quad-core processor to unify its iOS and computer platforms. He notes: "We believe Apple is ready to start sampling the A6 quad-core app processor and will be the first to such multi-device platform capable of PC-like strength." With several iOS-like features already present in Mac OS X Lion, it's fairly obvious that Apple wants to encourage users to work and play in the same ways on an iPhone, iPad and Mac. "Users want to be able to pick up any iPhone, iPad, or Mac (or turn on their iTV) and have content move seamlessly between them and be optimized for the user and the device currently being used," adds the analyst. "Apple can use a 32-bit ARM architecture to address the vast majority of the OS X ecosystem's needs in 2012-13 except for high-end professional devices. When 64-bit ARM is available in 2016, we believe Apple will have a single OS and hardware architecture." Other Mac experts are less convinced, however. "At the 'Back to the Mac' event in October last year, Steve Jobs said quite famously that "touch surfaces don't want to be vertical", says Graham Barlow, editor-in-chief of MacFormat and Tap! The iPhone and iPad magazine. "After a lot of ergonomic testing Apple decide that a vertical touch screen was a bit of a disaster, which is why we haven't seen a touchscreen Mac. "And all the new gestures in Lion are done on a trackpad. For this reason I can't ever see the same OS being run on a desktop computer with a vertical screen and a keyboard and on a tablet device like an iPad - you use the two devices in fundamentally different ways."